Every dictionary has its limits. 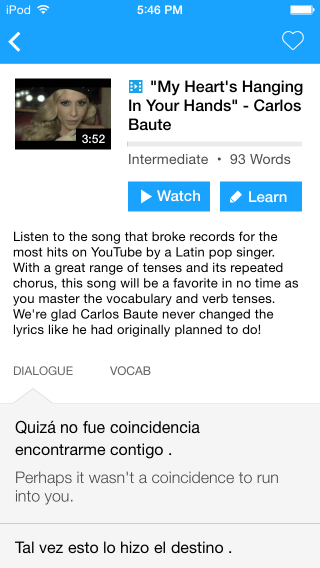 If you’re an advanced Spanish learner, translator and/or consumer of native texts and podcasts, you’ve very likely run across vocabulary that isn’t covered in standard Spanish-English dictionary reference works. 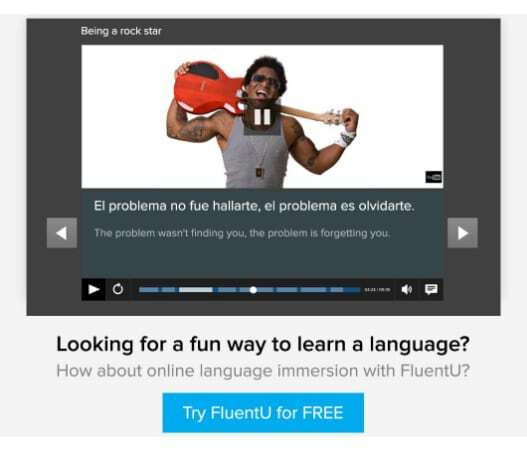 This is where Spanish-only dictionaries can help you out. They often provide more vocabulary and more complete coverage of the many uses of common vocabulary. Unless your goal is to be a live interpreter, going back and forth between Spanish and English all the time, it’s probably much more worthwhile for you to be learning words and thinking about and responding to ideas in Spanish only. In addition, there are different ways that meaning is shaded and understood that we miss out on with a simple translation. For example, if I want to understand empanada, I can get WordReference’s decent English definitions, “pie, pasty, turnover, Argentinean pastry,” but then I might be left imagining that it’s something sweet you eat for dessert. And finally, if I consult the Spanish-language Wikipedia entry, I am left salivating on my keyboard and googling recetas de empanadas (empanada recipes). Here then are the best Spanish-to-Spanish reference works and a few other key strategies for advanced learners. These dictionaries will give your language skills a real workout and get you on the road to thinking in Spanish. 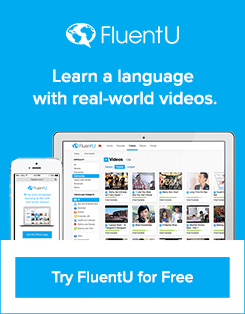 You can further your learning by immersing yourself in authentic Spanish with FluentU. Pair FluentU with these Spanish-only dictionaries for a powerful workout to your Spanish skills. 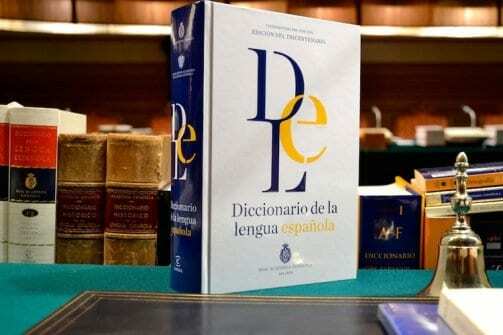 Known as simply el DRAE, the “Diccionario de la lengua española” (Dictionary of the Spanish Language) is put out by the Real Academia Española (Royal Spanish Academy), an official royal organization that, along with associations from other Spanish-speaking countries, is supposed to protect and promote the norms of a unified language. In its vigesimotercera edición (23rd edition, and what a word! 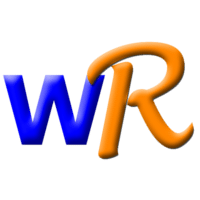 ), the DRAE is online at the above link, searchable and provides good coverage of older literary words and modern words that are accepted in standard speech. Since it has a prescriptive bent, it’s not as good for looking up slang. It does provide many different uses of common verbs as well as examples of how they’re used in phrases, which can be a lifesaver when you’re looking for ways you might practice employing a new word that you’ve just learned. And it does cover Latin American as well as European Spanish. 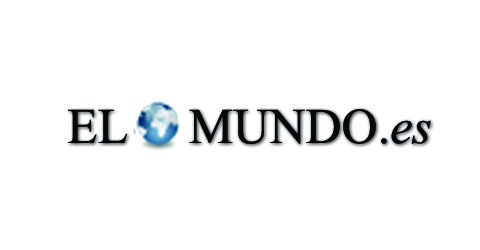 The online dictionary of El Mundo (a Spanish newspaper) is quite similar to the DRAE, but it does provide some different or expanded definitions—for example, using the mouthwatering example from the top of this post, plugging empanada into this dictionary option similarly reveals that empanadas can also be fried. I think that’s a bit questionable (morally and culinarily), but there are all sorts of people in this world. The site also includes a thesaurus (choose de sinónimos) and a medical dictionary (choose de medicina). This site provides very complete coverage of uses like the other two above, and also has a wide range of vocabulary. Its material comes from the dictionaries of Larousse Editorial, based in Barcelona. The feature that I love about this site is that you can check all the dictionaries that you want to search, which means that you can search for the same term in a number of dictionaries at once, and have all of the results appear on the same page. For example, a Spanish learner might want to check lengua española (the Spanish-only dictionary) as well as the boxes for español-inglés (Spanish to English), sinónimos y antónimos (synonyms and antonyms), español para extranjeros (Spanish for foreigners) and conjugador verbal (verb conjugator). You could also see the same Spanish word defined in some specialist dictionaries and other languages (including regional languages of Spain) if you were so inclined. The español para extranjeros option is particularly good for ambitious mid-level learners; it provides complete, uncomplicated definitions in Spanish only. To get an idea of the many, many possibilities of this situe, check out the entry for caer (to fall, a tricky verb in many ways). You can get the basic definition plus many primary and secondary uses, the (irregular!) conjugations, tons of examples of phrases, the definitions of many uses in English and other languages and more. Frequently when I’m learning a language I need to look up each of these things separately in order to get a full sense of a new word. It’s lovely to have all of this combined in one place. The big catch is that after five look-ups you have to pay for access (about 26 euros per year), and you could get most of this information in less convenient forms from a combination of websites for free. 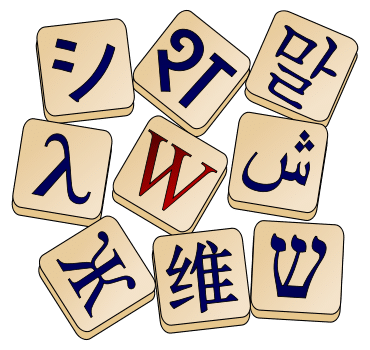 Note that this site’s regular Spanish-only and Spanish-English dictionaries are completely free, however, and can be used together simultaneously (the same is true for Spanish-French, for you Francophones). This website has good definitions that are similar to those of the sites above, provided by the Spanish newspaper El País. Similar, but not exactly the same, so this may be a worthwhile complement for some. Synonyms and antonyms automatically come up at the end of each definition. For those of you keeping track, this tome’s stretching of the empanada definition includes the idea that pastry dough can be used as well as bread dough. I guess I would agree with that one, but it’s not going to make me feel like I’m back on the streets of Santiago or Buenos Aires. The only downside is that this site has quite obnoxious, full-screen, pop-up ads. 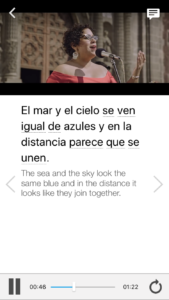 My favorite dictionary site has a Spanish-only feature! 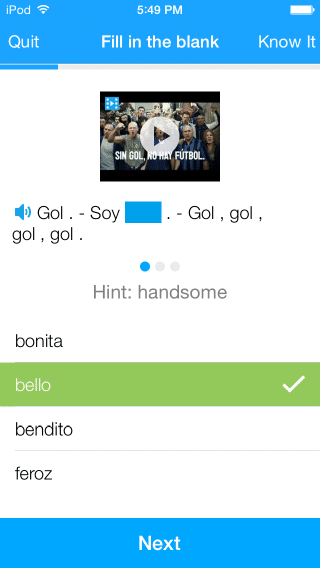 Choose “Spanish: definition” if you’re in the English version of the site to get word definitions in Spanish. It appears to offer a slightly updated version of the definitions provided at El Mundo. The main advantage of this site is that forum posts concerning each word appear at the bottom of the page, below the definitions, when you make a search. 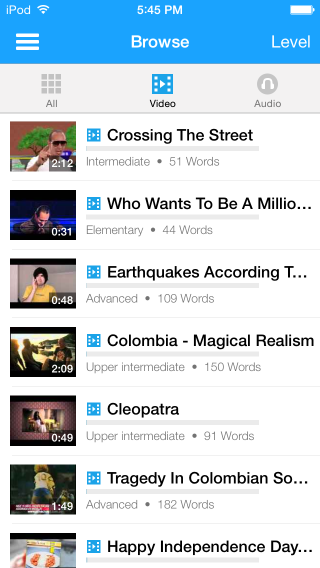 This can be wonderful if you’re looking for slang, regional expressions or usage notes. The forum posts that you’ll get from a “Spanish: definition” search are in the Spanish-only forum, of course, so they tend to be dominated by Spanish speakers posing questions about usage and meaning in Spanish. 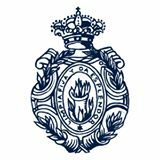 Looking in the Spanish-English forum may get you more results, and you can also always pose a question to the forum yourself; I’ve been able to give and receive lots of help there over the years. If you’re looking up something that you suspect has a visual component, Google Images is the way to go. In some cases, it’s really the only way to get a full sense of a word. Take, for example, papi chulo; I could tell you that it’s used in Mexico and Texas for a flirty, obnoxious guy who thinks he’s all that, but an image search (this is safe for work, but be ready for bare male torsos) will give you a much more complete idea of the attitude involved. The Spanish version of Wiktionary has 837,450 entries as of this writing (though this includes Spanish definitions for non-Spanish words). Since it’s editable by anyone, it doesn’t have the prescriptivist attitude of the other dictionaries mentioned here. The advantage of that is that you can find a Spanish-language definition for a (quite common) colloquial phrase like tomar el pelo (to pull someone’s leg in the figurative sense); I couldn’t find this in any other Spanish-only dictionary here, apart from WordReference. Articles also link to full Wikipedia entries in Spanish where appropriate. This is a dictionary of colloquial Latin American Spanish. 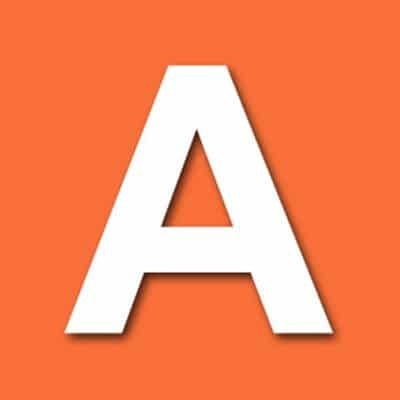 While it’s obviously limited to only those occasions when you’re looking up a word that fits in that category, it’s a fun site and an interesting place to browse for new vocabulary before you take a trip to a Latin American country. The above are the very best of Spanish-only reference options. If you’re still stuck, your best bet is to look for a language exchange partner or expert in the field of your inquiry. To wit, if there are any excellent Argentinian bakers out there looking to share their expertise in exchange for an English lesson, get in touch! Mose Hayward blogs about his tummy, tongues, and soul at TipsyPilgrim.com.